This scratch game plays is centred on the theme of a zoo and its various features. The objective is simple enough, players need to match 3 identical symbols in order to collect a reward. The reward that they get depends on the symbols that they land. The game is whimsical and entertaining and keeps players occupied. The online scratch and match game can be played for as little as 20p or as much as £200. But the best feature of this game is by far its bonus round, in which you can win up to 50,000 times your original stake! This means if you started with just the minimum bet of 20p, you can stand to walk away with £10,000! 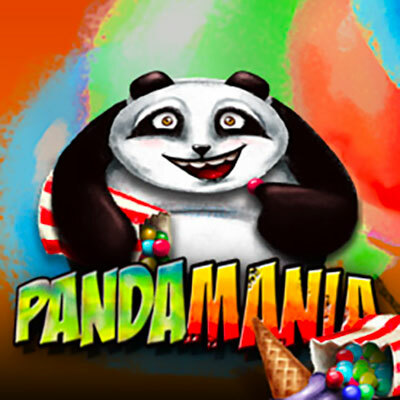 The Pandamania scratch card is based on a panda living in a zoo. Keeping consistent to its theme, there are various zoo related symbols such as tickets and balloons. The game follows a scratch and match model with a 3x3 scratch card, totalling to 9 individual grids. Behind each grid lies a symbol, upon landing a matching combination of 3 symbols you will be able to collect your rewards. Below is a list of rewards you can expect. It is useful to note that the game adheres to a paytable chart of the symbols found on the card and their corresponding rewards. Below is a detailed outline of the symbols and the returns you can expect from them. In this round, you will have to collect doughnuts that will cumulate into an increasing multiplier. So for example, if you had placed an initial stake of just £2 and landed 9 doughnuts in the Ladder Bonus round, you will stand to win a grand total of £100,000! This is a fun-filled Scratch game and it delivers. The initial impression may be tame but don’t be fooled. Panda can turn your world upside down any minute. With bonuses of up to 50,000x – mania can hit anyone, anytime!